We’ve also created textile protecting UV inhibitors that prevent fabrics from fading. 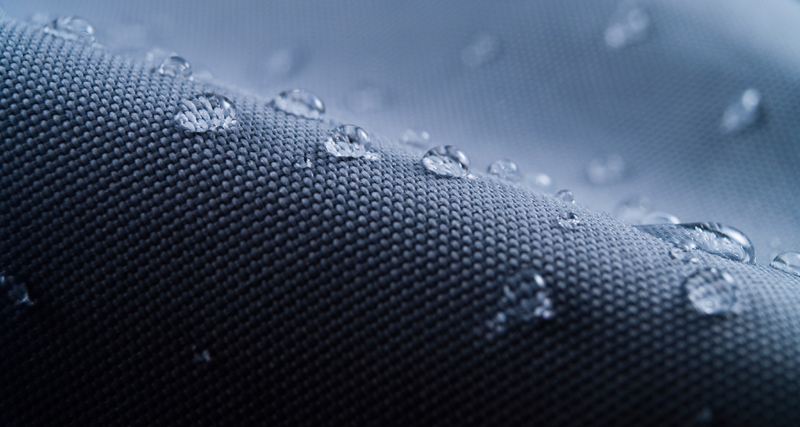 We’ve also developed a range of spray, aerosols and sponge or brush-applied products for the waterproofing and cleaning of outdoor fabrics such as tents, clothing, rucksacks, footwear and umbrellas. We’ve also designed products that inhibit mildew growth, ideal for sails, for example, that are put into storage for the winter. We’ve created wax sprays and dressings that restore the appearance and water repellancy of wax jackets and other garments. And although strictly speaking not a fabric, we’ve created protective and restorative products for leather too.